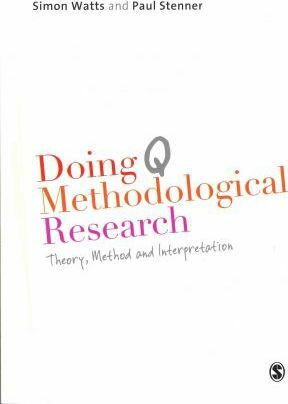 This book introduces the theory and practice of Q methodology. The authors explain the origins of Q methodology in factor analysis and the R methodological procedures, and go on to explain the theory behind Q as set out by the method's early pioneers. They also look at how Q deals with issues such as subjectivity, abduction and constructivism. The book shows readers how to set up, run, and analyze an effective study using Q methodology. Illustrated with examples and case studies throughout, the book offers advice on highly practical issues such as the conduct of fieldwork, working with participants, and good data management.